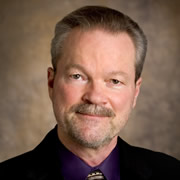 Dr. Christopher Buck, independent scholar and Pittsburgh attorney, has a Ph.D. in the Study of Religion from the University of Toronto (1996) and a J.D. from the Thomas M. Cooley Law School (2006). He has taught religious studies at Carlton University, Millikin University, Quincy University, Central Michigan University, and Michigan State University. He publishes broadly in American studies, Native American studies, African American studies, religious studies, Islamic studies, and Baha’i studies. Author of: God and Apple Pie (2015), Religious Myths and Visions of America (2009), Alain Locke: Faith and Philosophy (2005), Paradise and Paradigm (1999), Symbol and Secret (1995/2004), and Religious Celebrations (co-author, 2011), with book chapters in ‘Abdu’l-Bahá’s Journey West (2013), The Blackwell Companion to the Qur’an (2006/2017), The Islamic World (2008), American Writers (2004/2010/2015/2017), and British Writers (2014/2017).